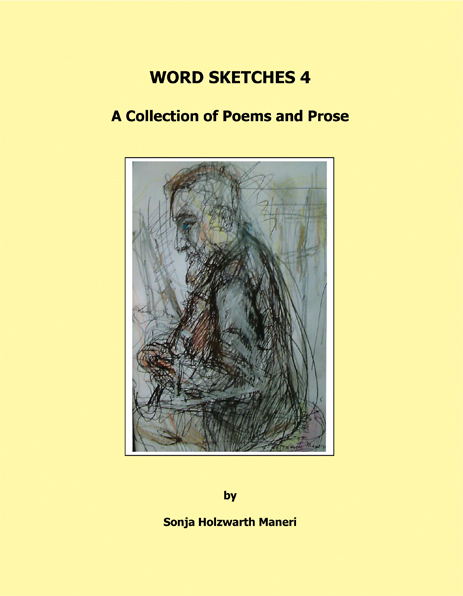 Sonja Holzwarth Maneri was born and raised in the Williamsburg neighborhood of Brooklyn, New York. Both her parents were first-generation German immigrants. She was the recipient of a three-year scholarship to the Brooklyn Museum Art School, then received an apprenticeship with Hans Hoffmann in Provincetown, Massachusetts, followed by a three-year scholarship to the Brooklyn Conservatory of Music. There she met and married Joseph Maneri, an avant garde composer and performer of microtonal music, a loved professor at the New England Conservatory of Music, and renown saxophone player. Music and the visual arts have always been an integral part of her life. This is her fourth book of poetry. She has written other books, including a memoir of her late husband, titled Love Notes, Love Lines.